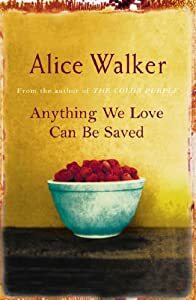 As I was reading Alice Walker (best known for her book The Color Purple) collection of essays entitled Anything We Love Can Be Saved, I thought her ideas only represented me on an abstract – perhaps metaphorical level. I can relate to her situation only in certain aspects, others I can’t even begin to understand. In my opinion, she is rather centred around a purpose and she definitely has a leit-motif (the Goddess, for example), but, as I said, I don’t fully understand her situation, so I won’t be judging her for some linguistic clichés (I know I have mine, and I’m pretty sure each individual, social/enthic group or country has plenty as well!). In any case, from the whole book, I chose an essay that I think is still very much current, even after fourteen years. It’s about Christmas and its sometimes empty, sometimes ideologically charged stories. First, the subtitle is quite interesting and very much poetic: “seed catalogs like paper flowers”. For those who don’t know much about Alice Walker, in short, she is one of the strongest voices in African-American (women’s) emancipation and self-determination and she is also involved in projects that go beyond the United States’ borders (Africa, for instance – only in this book, there is a very interesting essay about conferences against clitoridectomy in Northern Ghama , entitled ‘You Have All Seen’. If the Women of the World were Comfortable, This would be a Comfortable World, and the ordeal Winnie Mandela has gone through as compared with Zora Neal Hurdston, entitled How Long Shall They Torture Our Mothers? The Trials of Winnie Mandela. The Stone we’ve come to throw – anyway, if you’re interested, here is some more general info about her). Interestingly enough, the “presents” Santa gives these children are very similar to the traditional presents children would get after carolling in Romanian villages (especially nuts). Are there any other such traditions around the world? Is that only a sign of despondency, or something that lies deeper in the African-American soul? Then, Walker goes on asking if the exactly reversed situation – if white children would too “once a year welcome a stealthily moving large black man into their sleeping houses in the middle of the night” (99), which is quite a difficult idea for many – white people – to cope with. In other words, the purpose of this imposed good-white-man was to instill “a degree of hope” (99) to the populations that had none, and were not supposed to have a real opportunity for a better life. Well, even if the supposition is a bit far-fetched – in the sense that I don’t think animals consider celebrations necessary, they follow their own schedule, but I’ve never seen them on a festival, such as us, humans. Walker still admits of thinking about Christmas as Jesus’ birthday (sometimes), but she has lost all confidence in Santa Claus. It is actually for her a “rebirthday” – for the whole world, including the author herself. I found this essay interesting in the sense that what is nowadays marketed as Christmas is mainly an artificial (mostly plastic) US/Hollywood invention that is being imposed on everybody – whether you’ve been actually celebrating it for a longer time than Uncle Sam himself (pun intended!). What I’d like to draw attention on is that actual history of Christmas, connected not only with Christ, but with Mithra and the Saturnalia, and all that is not mentioned in morally correct histories of the Roman Empire and Beyond. Ask yourselves, before Christmas was imposed as a family-holiday, why was it forbidden for years – even in England! What is Christmas to you? For me it’s more than a holiday and Santa, it’s the feeling of being with the family. I guess it depends on everybody, but for me it’s the ideal time to be peaceful and spend quality time at home. And play Santa too!